In the Spring she was 16, Takamiya Naho receives a strange, but detailed letter from herself, ten years in the future. At first she thinks the letter is a prank, but then the things written in the letter actually happen, including the new transfer student that sits next to her in class, Naruse Kakeru. The letter reads just like her diary entries, down to the same characters. 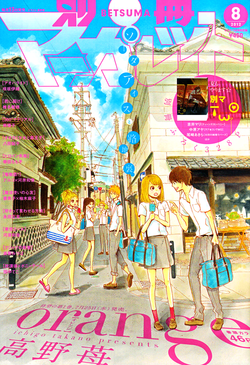 It is not till two weeks later, when Kakeru shows back up at school, that Naho finishes the letter. In the letter, her 27-year-old self tells her 16-year-old self that her biggest regret is that Kakeru is no longer with them in the future, and asks her to watch him closely.